Finding projector lamps has never been easier. Simply use our Lamp Search form above or select from our list of bulb manufacturers below. All you need to do is follow these simple steps and in a very short time you'll find the replacement projector bulb you need, be able to purchase it and have it shipped out to you - most of the time the same day. Step 1: To the right of this page, is an easy ordering form available where you can select the replacement bulb manufacturer, (i.e. InFocus, DELL, Epson); from there you will then go to step 2 below. Select the Bulb Part number, from the bulb part number drop down menu, of which time you'll also automatically be taken to the bulb product page. Alternatively, in that same ordering form box, you can search your bulb manufacturer number or name in the search box and hit go! This will take you to a page listing all the replacement bulbs or lamps you specified. Examples of manufacturer part numbers are BL-FS180C and BLFS180C. You can also simply search the projector name like Epson or Apollo. To make things even easier for our customers, we've also created an alphabetical list of all our replacement bulb manufacturers. Simply visit the following link to view all our bulb manufacturers in alphabetical order. You'll find we stock OEM bulbs and replacement lamps for most overhead projectors and TVs that are manufactured, and they last thousands of hours before needing to be replaced again. 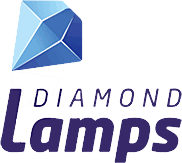 We also sell cost efficient alternative replacement bulbs from Diamond and Smart Choice Lamps that focus on performance and price. You'll find in our listings lamps and bulbs from InFocus, BENQ, EPSON, Sharp, ViewSonic, NEC, 3M and Optoma! ProjectorBulbs.ca provides transactions security through GeoTrust SSL certificates which provide the highest level of data security as possible. Rest assured that communications between your computer and ours are completely safe and secured from intrusions. For any inquires on purchasing or finding projector bulbs on our website, feel free to contact us today! Providing Canadians with OEM projector lamps at extremely competitive pricing. We sell only original projector lamps. No counterfeits. A cost-effective option to Original Projector Lamps.